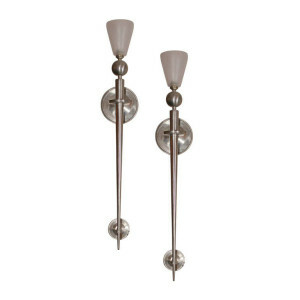 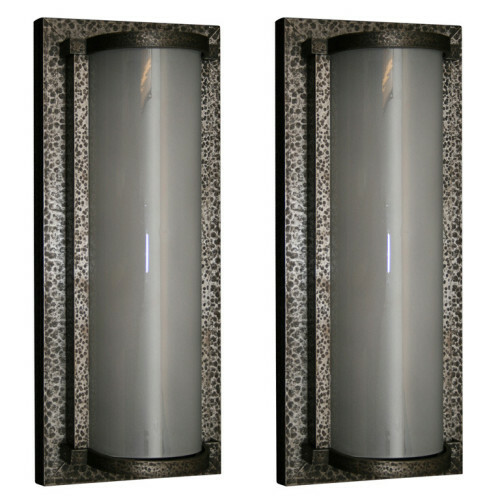 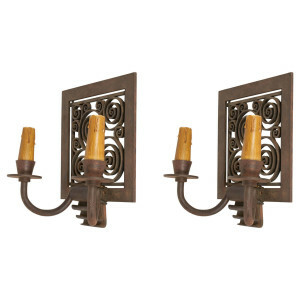 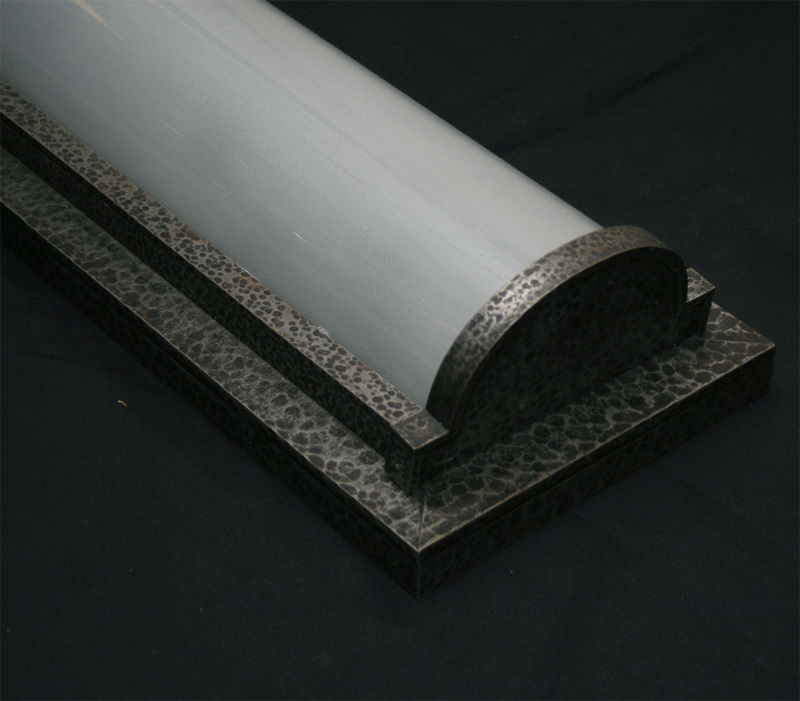 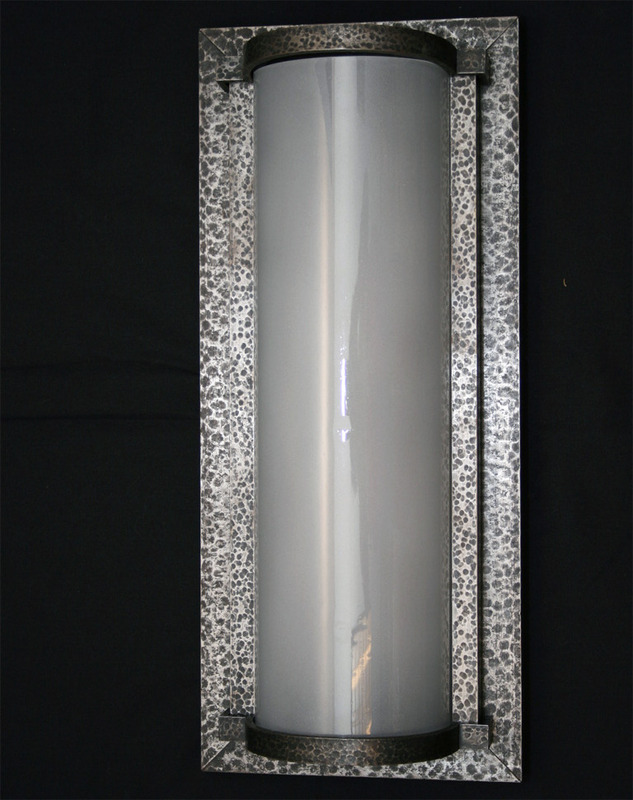 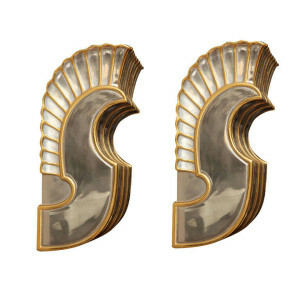 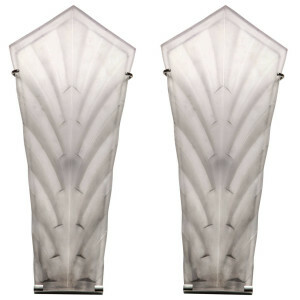 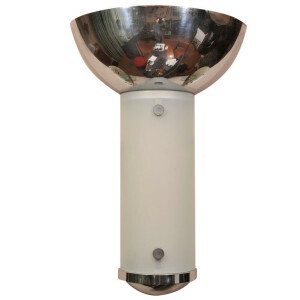 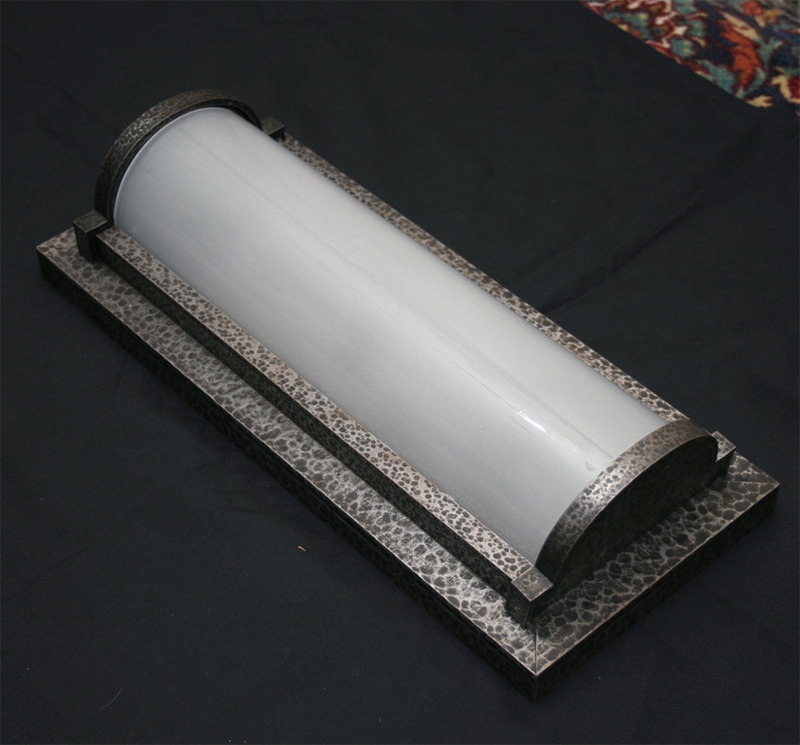 Pair of modern, Art Deco Style sconces, in wrought iron with frosted glass shades. 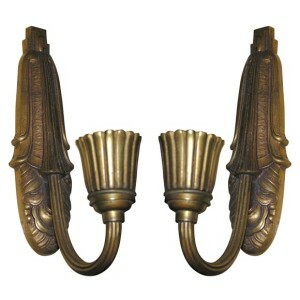 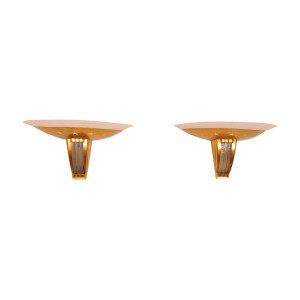 A rare pair of sconces in gilded brass with clear and frosted glass inserts and frosted shades. 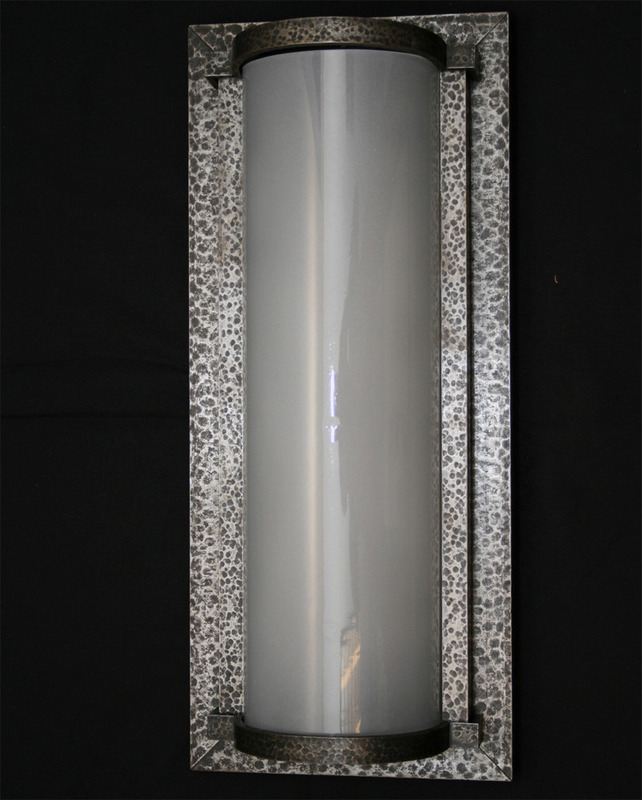 Ref: Period illustration as displayed inside the paquetbot “Cambodge” 1952, in “Leleu: Decorateurs Ensembliers” by Francoise Siriex. 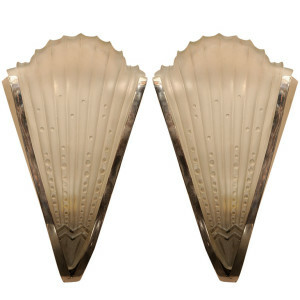 Pair of highly decorative French wall-sconces designed for Maison Jansen in the 1940’s, in brushed steel with frosted glass shades.